It was a sweltering day in August of 2017 when we were a vendor at a festival begging people to try our delicious bratwursts. We were located between the doggie park and kids karaoke! That is when we realized that we needed to bring people to the farm . . . "if you build it, they will come" . . . so we designed and built The Venue at Rabbit Ridge Farms. It is a 15,000 sq ft building that was once a school's gymnasium. 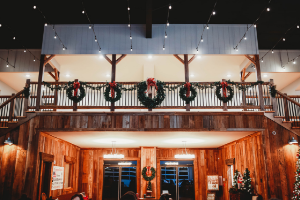 It was rebuilt using reclaimed and natural, neutral materials to create a beautiful backdrop for your special occasion, corporate event, celebration, or conference. The cozy conference room can be rented for meetings, trainings, seminars, etc. and can accommodate small groups (up to 20). The entire 1st floor and patios may be rented to accommodate larger groups (up to 400). For your next special occasion or wedding, Rabbit Ridge Farms is for you. With a stunning, scenic atmosphere and amenities galore, you won't debate long on making this your venue of choice. Our spacious venue offers everything you need for a beautiful, once-in-a-lifetime experience that you can cherish forever. In additions to weddings, we can host a variety of events including concerts, Christmas parties, corporate events, family reunions and so much more! Take a moment to read further to see our pricing details.  Use on an daily basis Monday - Friday (subject to availability). Kitchen area which includes a fridge, sink, stovetop, oven, counter space, and rolling cart. We offer a variety of services here at Rabbit Ridge to ensure that you experience is extraordinary. From savory catering options to perfect your venue menu to cozy lodging retreats, we have everything you need right here! Visit The Venue for a delicious meal. 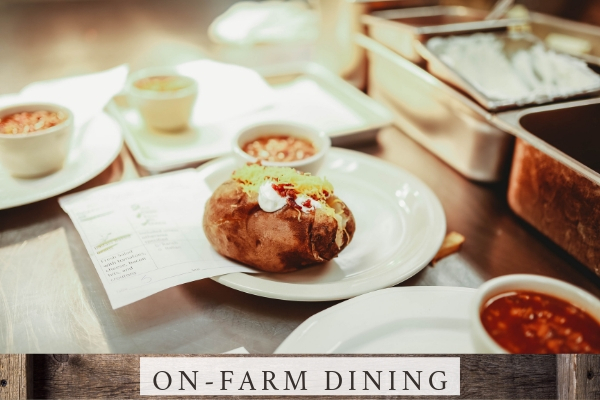 Check out all of the options of dining at the farm by downloading our menu above. From Saturday breakfast to Wednesday lunch, join us! 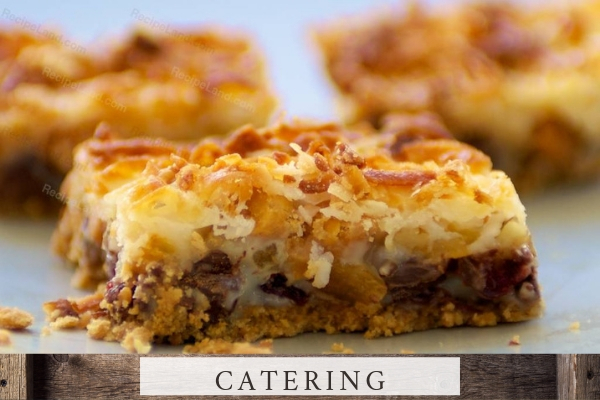 From small groups to large banquets, delicious buffets to fine dining experiences....we can cater to your needs for a savory meal you won't soon forget! 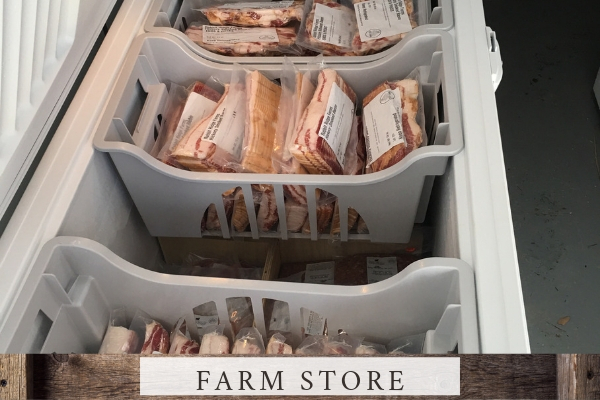 Come by the farm store to purchase proteins raised on Rabbit Ridge Farms. 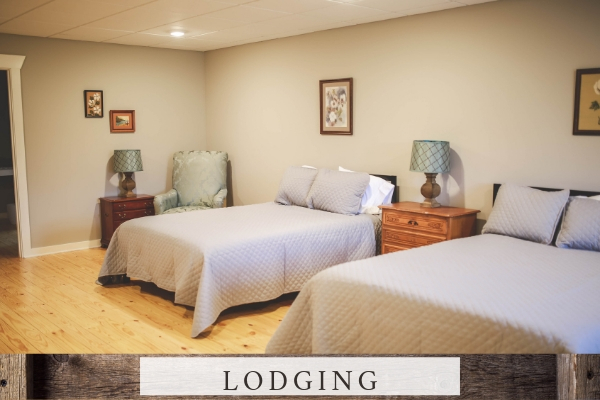 Whether you want to stay overnight after an evening event, wake up at the farm for breakfast, or want a farm stay vacation, we have comfortable suites here at the farm.